We (my 8yo son and I) have just arrived home from 6 weeks on the road; starting from Shark Bay (WA) through Karijini NP, up to Kununurra via the Gibb River Rd, back to Broome via the highway, then out to Cape Leveque and back home. What a WONDERFUL adventure we had!! We travelled in a standard Prado 05 model, no roof racks, no added extras, standard tyres and had NO dramas at all - no shredded tyres, no nothing!!! Yes, the GRR was shockingly corrugated, and, yes, I honestly visualised the car falling apart panel by panel as we drove along, but it didn't! We took it easy, travelling at about 50 -60kms most of the way, had the tyres down to about 26 (standard 17" tyres) and just enjoyed the scenery. So to any female who is not sure whether they can do it or not, GO FOR IT!!! Congratulations, Sandy. You go girl! 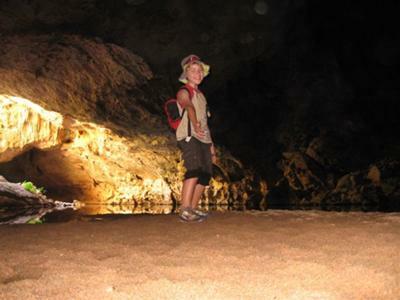 So glad to hear you and your son had such a great adventure. And thanks so much for coming back here to encourage other women to just do it! Thanks Birgit - your website and guide book definitley made things easier!! We only had 9 days on the GRR, so obviously didn't see even close to everything, because those gorges we did stop at we wanted to really explore and enjoy, rather than rush through just so we could 'see everything'. The other spots will have to wait for the next trip up, and yes, there will definitley be another one. I will post some photos shortly. Thanks Sandy, I too am single female travelling. Great to see there are a few of us out there. 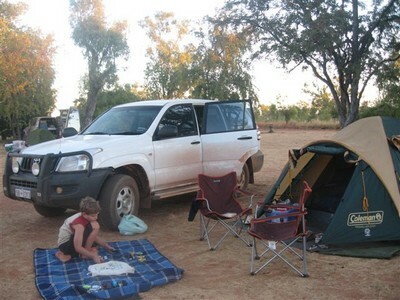 I have a Toyota HiLux 2005 Adventure Camper (Ex Apollo rental). I went through Marble Bar, Broome and then up to Cape Leveque in April/May and would love to do the Gibb River Road but am not sure if the back on my vehicle would fall apart. Will have to do a bit of research. Glad to hear you had a fabulous time and that being single didn't stop you. You have given me the courage I need to do the same as I have also many fears about travelling alone. I am practising by flying with the cheap fares and staying at backpackers in many places in Oz and agree we women can do it as I have met many of them. I believe "Face your fears and they will melt away"
to geoff - yes you are right, my son will always remember this trip (and many others). He is still talking about so many things we saw on the way and now wants to head back up in the wet season to check out the different landscape etc. to ivy - if your hilux made the cape leveque rd, it will probably be fine on the GRR. We travelled the cape leveque rd just after the july school holidays and some sections of corrugations were heaps worse than the GRR! To maria - just go for it - you will love it! I have never done the entire Gibb river due to having a dog. She is now 15. Happy explorations and I too remember vividly at the age of 11 driving with my prents from Sydney via Vic SA and up the middle and train to Darwin in 1969. All was different then. No 4 wd and no big bridges over road. We returned via cental Qld and hd to stop at puddle to get water due broken radiatior till the next port of call ie Mt Isa. I have enjoyed traveling the outback and showing the country to my son (now 30) but unfortunately his partner, job and new house now restrict his time. My own wife hates camping so now I sit and read the fabulous trips that other people do and regret every minute that I am not spending in the great outdoors. I think you are lucky that you are single and can do as you please, travel wherever you like and please yourself what you do. Good on you for having a go! Just a question, I am 70 yrs of age and have a little year 2000 Hyundai. Travelling on my own, do you think I would be safe to travel from W.A to Darwin going up to Broome first, then onto Queensland & back to N.S.W. where I am living at the moment. I'm sure you will be fine... there are so many people travelling solo these days! Just use common sense, be alert, let someone know where you plan to be every few days and make sure your car is safe and roadworthy. I also had a CB radio and PLB in the car. I'm not sure about your little vehicle, but I'm guessing you will be sticking to main roads... Also, you mention you are 70 years "young" - be mindful that medical centres can be far and few between if needed. There is just so much to see and do around Oz, i'm sure you will have a wonderful time. Hey, what an inspiring lady you are - well done! Too many of us are afraid to just go for it. I wish you many more adventures! CONGRATULATIONS Sandy well done I am a single mother with three children and I started taking them on driving holidays two years ago not as far as you have gone but we do get around SA where we live and my childern think Im wonder woman at first I felt like a fish out of water but the more we take off the better it gets. I did the Gibb over 10 days with a girlfriend in 2009 and there was only one other car we saw of only women. everyone should just go and get into it, its not as hard as people would have you think and an absolutely fantastic experience. Of course you need to know a bit about 4WD but thats all. Let down your tyres and let down your hair for a good time! Sandy, I'm so thrilled to hear what a great time you and your son had traveling the GRR. It does leave a whole lot of memories traveling along there and doing/experiencing so many things along the way. I traveled along there with 3 friends in 1999 and it was life-changing. Before I knew it I had left Sydney and was working in Darwin. These days I'm back down south (Melb.). It's really fantastic I've found your story tonight 'cos I'm thinking about traveling another part of country up there: Broome to Cape Leveque and back and wondering whether I could handle doing it on my own. I've read a couple of references to that road in this blog and it seems the road might be a little worse. You've put my mind at rest about what vehicle I could take. I'd be hiring from Darwin. Does anyone have any comments about a motor home versus a 4WD type vehicle? Great to hear the camaraderie is well and truly alive still up there. It was wonderful to read your experience traveling on the GRR. My choice is 4x4 UTE, you can carry plenty of supplies and camping gear( water and food is expensive out there). Set up a base camp and still have the use of vehicle during the day saves time breaking camp every day and you will have more time to do the culture vulture bit. You will love it.Have fun! Your son will grow up with a wealth of wonderful memories and experiences to rely on. And so will you. At the young age of 60 (in 2002) my mother purchased a Toyota 4 runner, and headed north to Cape York. In her mid 60?s she headed south to Moonta, up the middle over to Broome and back to QLD via the GRR and Lawn Hill. She did this on her own. Like Birgit she had a lot of support, ?Your too old. What if something goes wrong?? I thought it was great. My only concerns was she knew nothing about 4wdriving or cars. But like you, Sandy, when a problem occurred an angel in a dirty vehicle would appear and help out. I think she was in Kununurra for longer than expected due to a broken steering arm, courtesy of the GRR. My Mum passed away at the young age of 68, cancer. She was proud of herself for her accomplishment, especially as so many doubted her. Until the end she had her pictures of her trips floating across her computer screen. So many of the people she met traveling emailed condolences, she had obviously meet some wonderful adventures like herself. It is a pity she never wrote it down. So Jayne go for it. You will amaze yourself, have a great adventure and meet some wonderful people. Good Luck to all intrepid adventurers! Tanya, what a wonderful story of your mum and her accomplishments! Its so true that memories of such trips remain so very special and I hope my son will grow up with great memories of tripping around our great country! Tanya, your mum's trip obviously held a special place in her heart - how lucky that she didn't take on any of the negative comments such as you're too old! I'm turning 50 this year and I'm planning to fly to Kununurra, hire a vehicle and drive to Broome on the GRR...sometime late in winter. I have 2 kids; 11 and 14 years and I have just spent the last 8 months having treatment for breast cancer...need to get going on the planning. If amyone can recommend car hire companies who do a good price I would appreciate that. Hello, everyone. I am also single, and ill but going to the Kimberleys for a walkabout. Would you have an idea of how I could go about hunting for a reasonably people-isolated place to set up camp for about 3 months? It has to be free, away from human activity (not necessarily far), with long walking available without having to drive every day for that. I need this for my ‘WOW Walkabout’, an experiment in rehabilitating (like wildlife carer rehabilitation) an ‘old’-at-56 post Menopausal body with fibromyalgia. It is also an ‘awareness raising’ for such women, dismissed by medicine, health and social systems, despaired, invisible. Any suggestion would be very welcome. I do not live in Derby any longer, but after doing over 20,000 km on the GRR over a period of 18 months. I got to know a few places of interest and some interesting people. The first concern is that the shire or rangers will try to move you on if you stay to long in one place that is not private property. Several of the Aboriginal Communities may help you out if the cause is genuine. (Not saying its not)You must understand that some of these communities have been taken advantage of in the past and back away. Contact Pat and Peter Lacy, they own and run the Mt Elizabeth Station, you may be able to do some light work in exchange for camping some where on the property. They run a camp ground and accommodation on there property and quiet often need work force, Pat is a lovely lady, and I am certain she would entertain the thought. Contact Nevile at OVER THE RANGE MECHANICAL SERVICE, he is located next to the IMINTJI store, 200 km from Derby. I know he has a large block north of IMINTJI towards Mt Bernette, he may let you stay there for a while. Allso contact the Derby CWA, Other wise contact a few of the stations and put your case to them. I found Derby to be a great place and fantastic people, at times I wish I had never left, the people are friendly and helpful. Give Broome a miss, it is grossly overrated and full of pretentious people trying to screw every cent they can from any one who passes through. I hope this helps, if you need more info, contact me thru this site. Tomo on Derby: Thanks - Other ideas? Tomo, Thank you very much for all these contacts in Derby. Will look them up. Yes, of course, I always forget to say I can give a hand - so obvious to me to leave a place/people better than I found them. 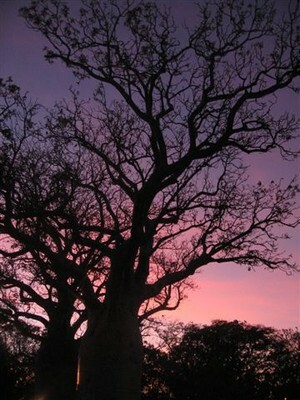 I stayed 5 months in a national park in NT last year for an experiment. I cleaned amenities blocks but loved the place, met people, oiled the gate, even helped out rangers in fire fighting (a bit of 'adventure'!). I'm weary of asking Aborigines and station owners, for the same reason you say. Derby - I'm not sure whether I can reach that far, it's over 1000km further than Kununurra. I'm very limited for petrol$. But I like the pics on maps. We'll see. I plan my equipment and my experiments in ecology of health, but not much my perigrinations (I quit planning goals). Is Derby a beautiful place? Pushed on..., yes I have been, even for 2hours by the road near houses in the Alice. People who feel pressured or threatened, in crowded areas, make a lot of fear-based unwarranted assumptions, as angry and territorial as crocodiles, swooping to your head like mindless conditioned magpies, ungrounded in reality. That's what I see in my experiments can be stopped with basic care of the body (as we have forgotten), and replaced with 'ease' (but can't under crowding). Your helpfulness warms my heart... Thanks again. Anyone with ideas for places on the east of Kununurra? All your stories inspire me enormously! It makes me want to take up the challenge as well and plan touring the GRR on my own. However, I would prefer to do so with some company. Just because I find it nice to share the experience en route and to make it more affordable. 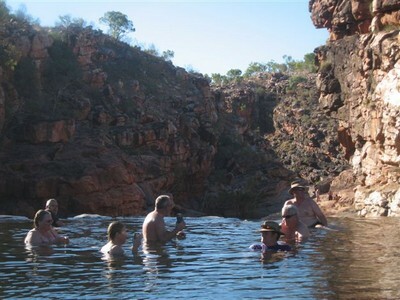 I want to tour the GRR from Kununurra to Broome;23 August, Departure from Kun., arriving 2 September. in Broome and drop off vehicle. 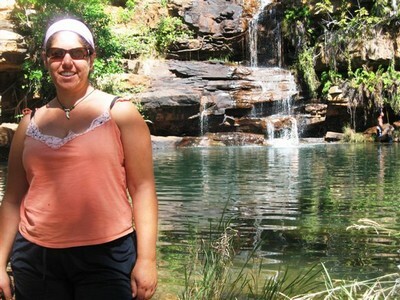 The tour I want to make is like Birgit described so well: a fair dinkum camping trip (sleeping in tents or in swags on the ground, not in crisp linnen in luxury tented camps for the discerning traveler); a tour that visits off the beaten track places and gives you time to hike, swim and explore. However, my trip will be unfortunately limited to 11 days. I am a Dutch woman of 55. Anybody out there who'd care to join me? I noted your young age; I am 58 widowed and so desperately want to do what you have done. Thank you for the inspiration. Chris, I am 57 and broken physically, but I am doing it. May be we'll meet there. When will you go? Couldn't last year (can't bend for a tent now). This year, I am trying to sell my car, hoping to get enough to buy a camper (may be 4wd) and leave sometime in May from around Brisbane. Don't have the spirit of you guys, but there is nothing left for me but to realize this 25 year dream - I just need the space, peace and walking of outback. I hope to find the mates hip people talk about. Our dream was to do the big lap as a family but after my recent separation I was thinking it would remain a dream. I asked my 2 girls the one place in oz they would like to go & the answer was unanimous- the Kimberley's. But how would I manage this as a solo mum? So tonight I googled "single mum Kimberley's" and there you were. Thank you for giving me the self belief that I can do this if I really want to! So proud of you sandy! You are a great role model! I am going to do a trip this year but am stuck as to what vehicle to get. Currently have a Suzuki grand vitals but think ill need something higher and bigger. Did you have a trailer too? Hi vicki, we travelled in a standard 2005 Prado and had no problems at all and no,did not have a trailer, we just jammed everything in the car. I would defintley think you may need something a little bit higher than the suzuki, just to make it easier to go through any of the river crossings...which weren't actually that deep when we went through, thankfully, lol. As there was just two of us, we found we were able to fit everything in the car easily. If you do need to get a trailer, make sure you get one that is specifically suitable for off road as the road really was extremely corrugated. Hi thankyou for your comments. I am a solo traveller starting my journey in May to travel for 5 months. I am not afraid of being along and travelling. What are we as solo people supposed to do, sit home and knit, I don't think so. my granddaughter said to me once, you are not a typical grandmother. I asked her what do you mean I don't sit and knit etc. I have just fitted out a ford transit and wha ho I am off. Go for it ladies its a big beautiful world out there. Go for it Sharon, enjoy...you will absolutely love it! We are now spending more time travelling around Oz as well- it's a great life! I wish there were more ladies like you, willing to have a go ' somehow I doubt you will be single for long, there are heaps of Aussie men looking for a woman like you, I am one of them. Wouldn't it be great to have a singles site that catered for this type of thing. Your son is a lucky boy to have a mum like you with character. no worries; you know something that I have noticed about schools these days is that they don't really teach you anything! teachers don't teach they repeat, they repeat the things that have been repeated to them ' we actually learn a lot more by doing; sure we can learn some things that people teach us but to gain insight into the principle that governs a certain thing we gain more understanding by doing it ourselves ' eg we can watch somebody rub sticks together to start a fire on youtube it looks easy; until we have a go ourselves, then we realise those people are idiots and we just use a lighter, ha ha. Join in and write your own page! It's easy to do. How? 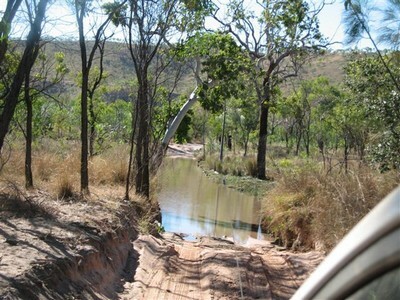 Simply click here to return to The Gibb River Road.